President Donald Trump said Friday morning during an interview with Fox & Friends that North Korea has started returning the remains of missing U.S. troops from the Korean War. 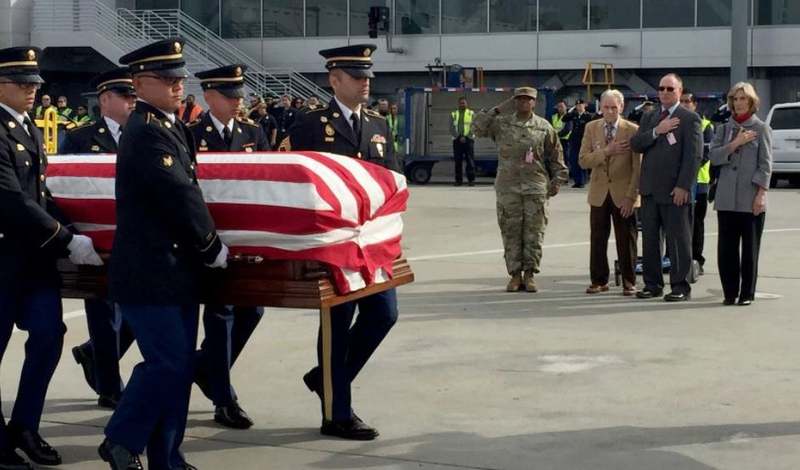 Trump and Kim signed a statement, during the historic summit in Singapore, agreeing to the “immediate repatriation” of those fallen service members who are already identified. Approximately 7,800 Americans remain unaccounted for from the 1950-1953 war. The Korean military conflict lasted from 1950 to 1953 but was ended with a truce, not a peace treaty. Past efforts to recover U.S. war remains in North Korea ended more than a decade ago. North Korea’s nuclear development and the lack of safety of American recovery teams sent into the country. Earlier this year, the leaders of North and South Korea signed an agreement to officially end the Korean War after 65 years and to work to denuclearize and establish a nuclear-free Korean Peninsula. This is epic. President Trump has done more in the past year and a half than Obama ever did, and Trump has had to undo all the evil that Obama and his minions unleashed on America. The Democratic Party is no longer. They have become the Liberal Party that has no specific genders, no moral values, no love for their own Country, and their sole purpose is to gain control over the American people. Thank God for Trump! Thank you for this article. The men we left behind deserve to be brought home. We finally have a President that understands how important this is, and made this a priority. Considering how long we’ve been waiting to have these heroes home, THIS is a big deal. Thank-you President Trump! Thank-you for the article. It’s an important issue-another one addressed and taken care of by President Trump. Thank you President Trump! I hope this brings peace to many families. So proud to be a supporter of President Trump! He is doing so much for our country & he loves our military! So happy for the families who can finally lay their loved ones to rest!